Cecilia Li was born in Taipei, Taiwan, where she started to study the piano at the first “Experimental Music Class” at Kwang-Jan High School under Prof. Iman Wu and Prof. Robert Scholz, the key figure establishing western classical music in Taiwan. In 1971, she continued her studies at the University of Music and Performing Arts “Mozarteum” in Salzburg (concert class with Prof. Kurt Neumüller). In 1978 she graduated with distinction and honour from the Mozarteum (solo piano) and received the achievement award of the Austrian Federal Ministry of Science and Research. She took further coaching lessons with Tatjana Nikolaijewa, Norman Shetler, Meira Farkas and Sandor Végh. As early as 1973, she was a prize winner in solo and chamber music at the “Österreichs Jugend musiziert”. In 1976, she was the soloist in the opening concert of the International Summer Academy in Salzburg. She gave piano solo concerts at venues such as Taipei Opera Music Recital Hall, Grand Hall Mozarteum/Salzburg, Strovolos Theatre/Nicosia. Her chamber music activities include: Salzburg Festival, the Residency Concerts of “Jeunesse Austria”. Further activities reach from various concert formats to appearances on national and international broadcast (TV Taiwan, NHK Japan) and pedagogical work in Vienna and Taipei. collaborations with other artists. Cecilia Li´s solo piano recitals celebrate unique compositional arrangements and line-ups from Scarlatti to J. Cage, from Bach to F. Cerha, from Mozart to D. Lang etc. The prominent Pühringer Stiftung for instance, has supported a concert series (2005/06) at their headquarter Palais Coburg with following program: Hommage à Erik Satie, 12 Préludes, 2nd book of Claude Debussy, Giacinto Scelsi: Suite Nr. 9 “Ttai”, W.A. Mozart: fantasy in c minor, F. Cerha: network fantasy, F. Chopin: sonata Nr. 3. In the Mozart Anniversary year 2006, a co-production with the Vienna Boys Choir and Tanz Atelier Wien became a highlight. Cecilia Li was responsible for the music concepts and interwove with her piano solo work: “Spazio Divertimento”. 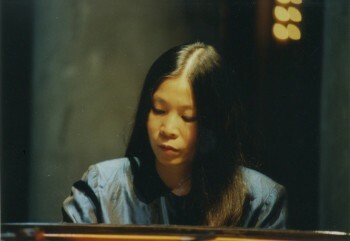 Cecilia Li founded her own CD label “shiuling records” in 2004, fostering a distinguished and unique documentation of her life recorded solo piano works: “Hommage à Erik Satie”, Claude Debussy: “12 Préludes pour piano” – book II. Her recent CD: “Piano phonotope” covers compositions by J. Haydn, D. Scarlatti, F. Schubert, Philip Glass and David Lang. A prominent CD recording of the Goldberg-Variationen by Johann Sebastian Bach was published by Bayer Records, “Amati”, Germany.